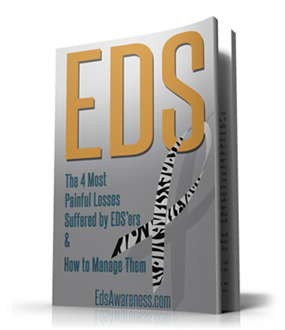 “EDS Awareness Month” Activities in May – – and all year long! My Wife Had EDS and Did Not Know IT! Toni Pearce’s first campaign focused on improving accessibility for disabled people in her college. This led to her position as president of the National Union of Students – representing 7 million students! “Toni Pearce is the president of the National Union of Students and the first person to hold the post without gaining a degree. Here she answers a series of questions about her career posed by School Reporters from Childwall School in Liverpool. Q – How did your school life go downhill? I’m the first NUS president not to attend university and I’m really proud of my background in further education. I got to the position where I am because of an illness that I was diagnosed with when I was 16. I have Ehlers-Danlos Syndrome Type III, which is a rare hereditary syndrome that causes my joints to dislocate [and results in] chronic fatigue and almost constant pain. It took a long time to find out what was wrong with me. I struggled to get out of bed and walk because I hurt so much. I spent a lot of time in and out of hospital and having operations. I was just starting college, working out my politics, beliefs and values for the first time, and I found it incredibly hard to cope with. I loved playing sports and I had to give it all up. I came out of hospital to collect my GCSE results and went straight back in again. I took weeks at a time off college to recover from operations. I finished my first year of A-levels with two U grades and two Ds. Q – What motivated you to do better? In all honesty, I was ready to leave education and to accept the fate that I’d probably end up in a wheelchair, never understanding what was wrong with me and never fulfilling my potential. Thanks to my family, and the staff in my college, I decided to stay. I was told that I could take as much time as I needed, that I had to put my health first, that I could get involved in coaching instead of playing sport. I was given space to take care of myself whilst I was at college, even space to sleep if I needed to during the day. My medication gave me panic attacks, but during exams I was given extra time to try and make up for that. Q – How did you turn your life around? Because everyone was so supportive I was told that I could stay on for an extra year after I was 18. I was allowed to retake modules that I had flunked thanks to my health and I was able to make sure I got the grades I should have got first time around. Q – How did you get involved with the students’ union? Doing my third year at college meant that I was given the confidence to stand for president. Being disabled was what got me involved in my first campaign, which was about improving accessibility for disabled people in my college. Issues that many don’t often think about became a reality for me because I was in a wheelchair and I physically couldn’t get into classrooms. The automatic doors didn’t work in my college’s library and, as I was in a wheelchair, I couldn’t get in because they didn’t open. That was the first campaign I got involved in. It was quite a small thing, and something many people take for granted, but doing that, and having actually changed something, made me realise that I wasn’t helpless and that my actions matter. It proved to me that you can make a difference if you do it right. From there my involvement in NUS grew and I became first president of Cornwall College Students’ Union, then NUS vice president for further education and here I am today as NUS president. Q – What do you enjoy most about your job? I enjoy representing seven million students and getting their voices heard on issues that really affect them. I like that I have a job where I can actually do things to change people’s lives. Q – If you had a child, how would you advise them on their education? Toni’s story inspires us to reach for our goals despite our disabilities. 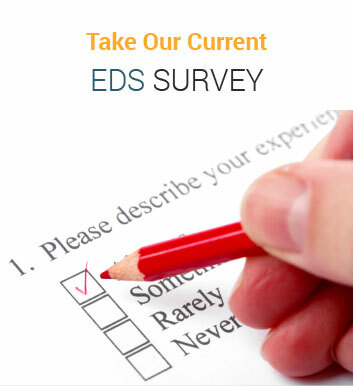 How long until you received a proper diagnosis for EDS? May EDS Awareness Activities in R.I.
Ehlers-Danlos Hoofbeat Run Walk-N-Roll included a 1 mile run/walk/roll, a 5K run/walk and a ½ marathon run on August 6, 2016 in King Ferry, NY. CLICK to learn more. The Inland Northwest Ehlers Danlos Support Group painted coffee mugs during a meeting and had a blast! The Cleveland Group’s EDS/Chiari Walk & Meet-up was a fun activity! Click here for list of more walks. 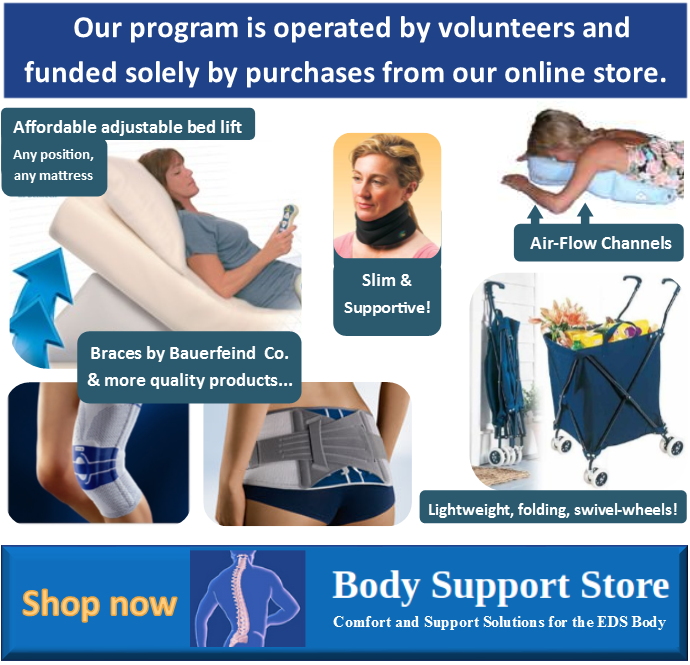 Our FREE programs are made possible by BodySupportStore.com - Offering over 250 products recommended for EDSers, by EDSers. Please check out these helpful products at lowest allowable prices. I have EDS – What Now?